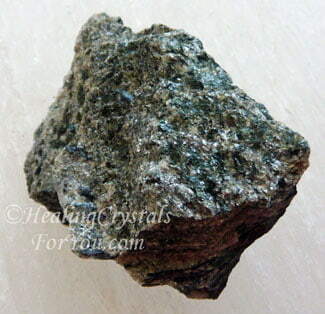 Holmquistite is said to have an unusual healing energy that can generate negative ions, and it tingles near an energy blockage. Its energy may help to calm chaotic vibrations related to the energy of the earth in the area where it is located, and may bring stability when the earth is affected by change. 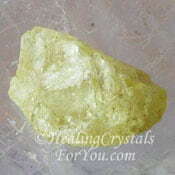 This is a rather uncommon mineral that has some quite beneficial metaphysical properties. 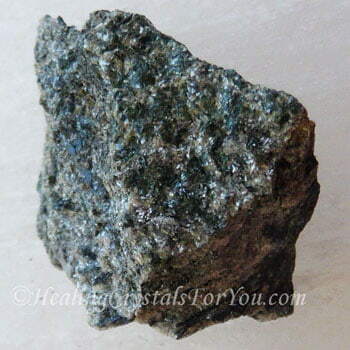 It contains a good amount of lithium, which makes it an excellent stone to relieve stress and anxiety. 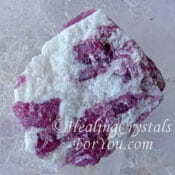 This mineral has a number of useful healing attributes including helping you if you are feeling downhearted or in low spirits as it makes you feel better emotionally. The meaning of the name of this stone is related to it being named after the Swedish petrologist Per Johan Holmquist. While it was first discovered in Sweden, it has since been found in Austria, Mozambique, Russia, Zimbabwe, South Africa, China, Australia, Canada, Brazil and in the USA. This rare mineral is a lithium magnesium aluminum inosilicate mineral that may also be found in the edges of lithium rich permatites. It may occur in the same places as Tourmaline, Spodumene, Biotite, Clinozoisite and Plagioclase. It occurs in fibrous structures, in the massive form as columnar sheaf-like aggregates, as orthorhomic crystals, acicular, transparent or translucent crystals, as well as an inclusion in quartz. The colors of this stone ranges from light grey-blue or grey, to sky blue, violet, and various shades of darker blue, as well as deep grey, greenish-black, violet black and black. 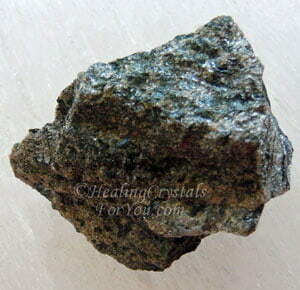 Why Would You Use Holmquistite? 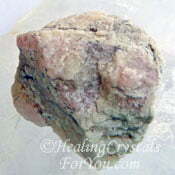 Having a piece of this stone nearby can be useful to aid earth healing and to stabilize discordant earth energy. You may discover that your surroundings become more agreeable when you have a piece of this stone nearby. 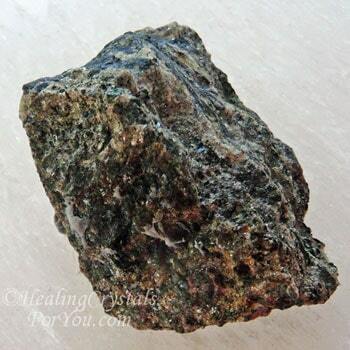 If you can obtain a piece of Holmquistite in Quartz you will find that the quartz will amplify the energy of this mineral within it. An alternative is to make a crystal grid with this stone in the center, and include quartz crystals to amplify this crystals energy. 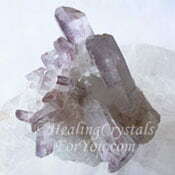 There are a number of other stones that aid earth healing and these may be combined in a grid to magnify the effect. See list below of earth healing stones to use. The energy of this stone is known to assist those who have been arguing, as its energy is known to help to settle conflicts. By removing negative energy from the region where it is located it is helpful to generate a more peaceful and agreeable environment in which to live. 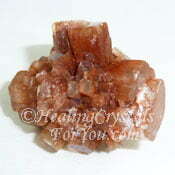 While there are other methods for cleansing crystals using this stone may also remove negativity from your crystals. Simply place stones that feel like they need cleansing on top of this stone and leave them overnight, to aid them to release discordant vibrations. 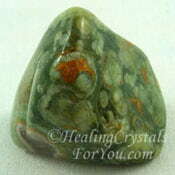 This is a useful stone for healers to use, as it helps them to locate where a blockage is and therefore be able to heal it. Of course you do not need to be a healer to use it for this purpose. Simply try placing it on various areas of the body until you feel a a tingling sensation. 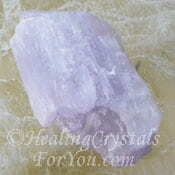 You can then apply other healing crystals to that area to aid healing. It does have a high lithium content so it is of course going to be an effective stone to use to aid depression, anxiety and relieve stress. 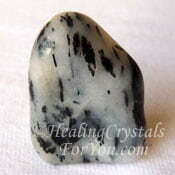 This stone is also said to generate negative ions so this aspect may be beneficial to aid healing as well. 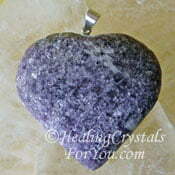 This stone is known to assist the nervous system, as well as helping to normalize blood flow, and may calm the heart. Its vibration can be used to assist tendonitis, leg cramps, and to aid tight shoulder muscles, as well as assisting issues in the gut related to ineffective elimination. "The grass is not greener on the other side, it is just another shade of green." Annika Sorensen... "Take Stress From Chaos To Calm". 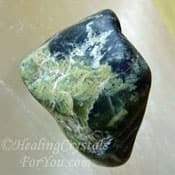 If you have been suffering with stress or anxiety, you may choose to use this stone with other crystals that are known to be effective to assist these problems. There are also quite a few other strong stones that will help to ameliorate stress and these are listed in my article on ways to relieve stress, so check it out if you need help in this area. Other lithium rich stones may help you, including Lithium Quartz, Amblygonite, Eucryptite, Kunzite, Pink Tourmaline, Petalite and Lilac Lepidolite. These stones are known for their action to aid earth healing and to assist the earth when it is going through changes, such as earth quakes. It is also said to assist the stabilization of ley-lines, and may create balance and stability in the area where it is located. 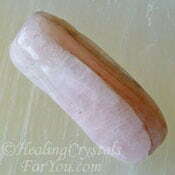 There are a number of stones that also calm earth energy, and these may be combined with this stones. In particular I can suggest that you use it in a grid with stones such as Serpentine, Rainforest Jasper, Blizzard Stone and Aragonite Star Clusters and include quartz crystals to amplify the energy.